Now approved for College Credits towards a degree! Since 1980, obesity prevalence among children and adolescents has almost tripled. Physical education programs are getting cut from school budgets and young people, more than ever, are in need of structured, supervised exercise and fitness programs. This nationally recognized certification course includes – 9 hours of classroom education (online), 9 hours of hands-on video demonstrations for practical training, and written and practical testing (3 hours total for testing). 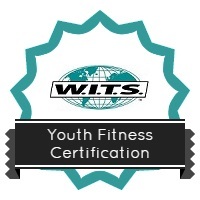 Students who successfully complete this course will receive their Youth Fitness Certification, and have the knowledge, skills, and tools needed to design effective and appropriate age (7-11yrs, 11-14 yrs, 14-18 yrs) programs for a growing market. This class is approved for 22 W.I.T.S. CECs and 2.2 IACET CEUs. 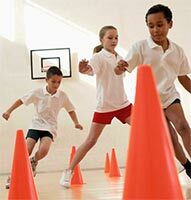 Describe safe, effective, age-appropriate exercises for youth. Demonstrate safe, effective, age-appropriate exercises for youth. Assess fitness levels of youth. Explain factors that motivate youth to exercise. Design fitness programs that incorporate principles of youth motivation. Lecture 3 – Periodization and Recovery, Sport-Specific Training, Strength Training Across the Ages.